Plz dont use spicy burger chicek in club sandwich. club sandwich chicken is different. written by Safwan Janjua on March 13, 2018, 2:27 p.m.
written by hassan amjad on Dec. 15, 2017, 10:28 p.m.
written by TAHIR BHATTI on Oct. 20, 2017, 12:11 a.m. Pathetic food. Over cooked and high salt. Didn't enjoy this meal at all. written by Abdul Rehman on July 15, 2017, 5:37 p.m. Remember there was a time when Mcdonald's ka naam o nihshaan nahee thaa., na he KFC ya aur koi burger joint! We only had to rely on desi burgers and that too from the few restaurants that you could come across. Our vocabulary of burgers consisted of the regular shami kebab burgers. The concept of gourmet burgers was alien to us. Ever since the emergence of franchises we’ve sort of lost touch with the desi roadside burgers we once used to love. The quintessential shami burgers with a layer of crispy scrambled eggs and fresh vegetables to freshen up your taste palate still possess the allure they once had. 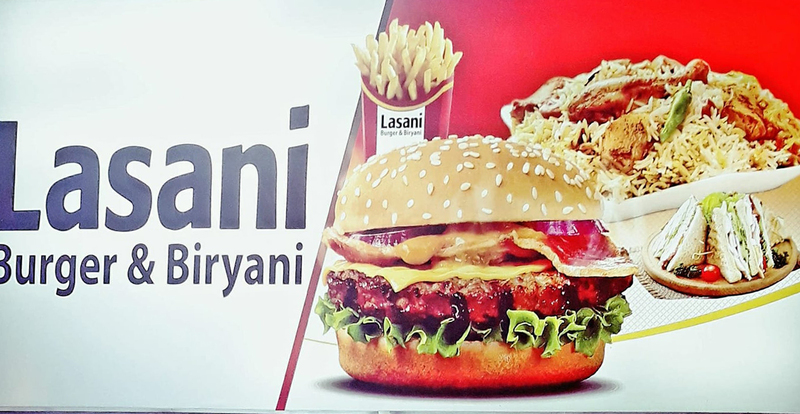 Whenever you’re in the mood just order Lasani Burger, one of the pioneer burger joints that still provides the best burgers with a desi twist. No matter how many gourmet burgers you may have there is no denying that we still crave for that burst of nostalgia to rejuvenate our taste palate with the aromatic tang of the shami kebab. We have a multitude of burger joints and restaurants that offer the best burgers you can dream of but there comes a time when you want to relive the good old days and just want to break away from the monotony of having the same old burgers. All you have to do is log on to our website or download our App. Go through the menu and just order what tickles your fancy. They have a diverse menu where you can choose from egg shami burger, shami cheese burger, chicken cheese burger, beef burger, beef cheese burger and a whole lot more. There’s more! Apart from shami burgers they also have beef and chicken burger options so you can always try something new on their menu. Chalo agar is ka bhi dil nahee cha raha tou they have sandwiches and shawarmas on their menu. So sit back, relax and place your order.